After an early injury put her out of competition, Meredith Miller has stormed her way to a Worlds appearance in Louisville. 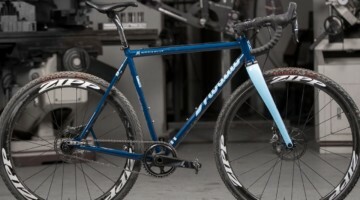 Nothing was keeping one of America’s top contenders out of the biggest race in US Cyclocross history. A broken hand ruined much of the early 2012 season for Miller, but with a plan in place, she returned from injury with her sights set first on Nationals and then on Worlds. 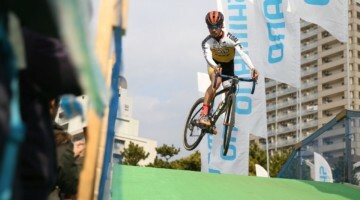 She’s been riding without pain since first getting back on the bike, and after missing her planned trip for the Czech World Cup stops, adjusted her schedule to hit Belgium for the Christmas events. “I knew from the USGPs that I was missing that top-end speed, and I needed the races to get it back. There was also the opportunity to get automatically qualified. 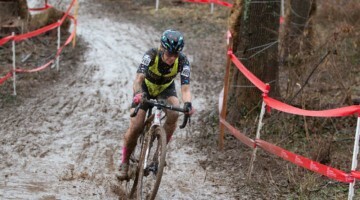 At Zolder, I had a first lap mechanical then rode a solid rest of the race,” she said. However, an 11th place wasn’t enough to get the automatic qualification, so she’d be relying on a discretionary application and a good placing at Nationals. 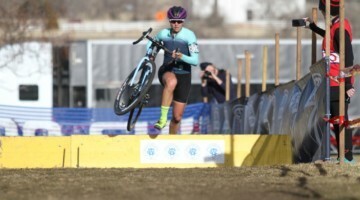 Miller’s race at Nationals was nothing short of demonstrative, with only the lights-out Katie Compton proving herself above the competition. Miller was poised for a podium finish before a crash and a mechanical derailed what had been an amazing ride in rough and tumble conditions. 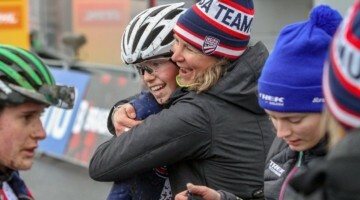 With the bad luck, she slid down the “favorites’ list” at Worlds, but she’s also going to Louisville with some added motivation. With Worlds outside of Europe for the first time, “the momentum has just taken off” in the United States, according to Miller. And the Americans have two big cards to play. Miller tapped World Cup series winner Katie Compton as perhaps the only woman to challenge Marianne Vos, and pointed out the numerical advantage the US women will hold. “It’s exciting. We will have six out of the 25 or 30 women in the field, so there’s certainly going to be some places where there are a few of us together. Maybe Georgia [Gould] is the only one of us that has ever even had to think about tactics before,” she said. But for Miller, what will constitute a successful Worlds appearance? “I would be dissatisfied if I didn’t get a top ten. That is always my goal, and that’s what I’m really aiming for,” she admitted, and with one of the toughest fields in women’s history, it would be no small feat. Don’t miss our LIVE STREAMING VIDEO of the 2013 Cyclocross World Championships. 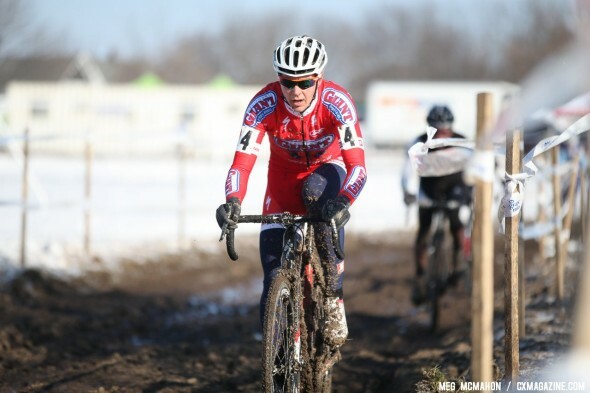 And for all the latest news, results, photos and videos from the 2013 Cyclocross World Championships and Masters World Championships in Louisville, KY, keep checking our 2013 Cyclocross World Championships page.